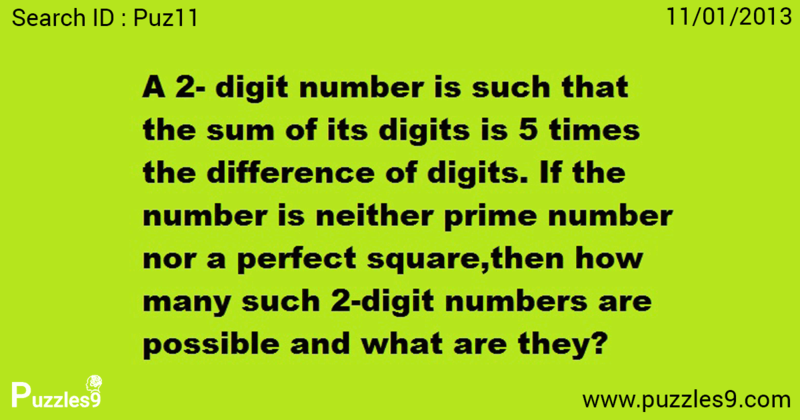 ANSWER : 4 numbers, they are 32,46,96,69. Let 2 digits of number are x,y. from the above condition we can get following pairs. combinations of above pairs are 32,23,64,46,96,69.
in those numbers 64 is perfect square, 23 is prime number. so the 2-digit numbers are 32,46,96,69.